This blog has been almost exactly 9 months in the making. I chuckle at this, 9 months is the time of gestation, from conception to birth. It is also a very magical number! If you have been following my blog you know that I was in the UK last May. I wrote several blogs about my experiences, but time got away from me and finishing these blogs were last priority. Then last night as I was mindlessly clicking away at the internet I came across something that literally made me throw my hands in the air and scream "YES!!!!!!" So lets back up to May 14th 2012. After a little drive through Cheddar gorge (UK) we made our way to Alvechurch. This is where we are supposed to pick up 2 boats. 3 Families on 2 boats, yes this will be an interesting few days. Are you lost? ok let me back up a little bit more. Durring the industrial revolution horse and donkey pulled canal boats and then later steam powered boats were used on a pretty intricate canal system in the UK to transport goods, much like our trucking system or train system. They weaved in and out of the cities through the country side making goods more accessible to people. The people that worked the Canals were a mix of Dutch immigrants, and Gypsies. Soon these people began to live on the canal. Their homes were "narrow boats" much like our single wide trailers, but on the water, and in the 1800s! Now they have become either the way of the modern water gypsy or little vacation homes for crazy tourist much like yours truly. 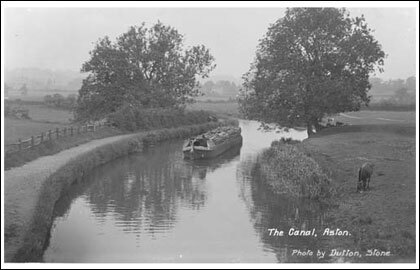 You can pick your boat out, rent it for how ever long you like, and cruise a variety of canal systems. There are pubs and shops along the sides of the canal in many cases. In other cases you have to either park and walk, or let some continue driving, go get groceries and come back. The boats only go about 4 mps, so there is plenty of time. I personally like the little farm shops, that offer fresh sausage, bacon, pies, and fruits. It was on one of the beautiful quiet days the sun was out, and I was looking at the muddy waters, thinking how beautiful and mysterious the waters were.This is when I had that moment. I knew there was something, something magical, something pulling me. At the time I felt more at home there on the canal than I was in Glastonbury a week before. I didn't understand why, I just kept telling D. that there is just something, something I cant place my finger on. These waters hold magic, I thought it was a muddy watery siren that perhaps was calling me. I could feel the magic. I remember saying to D. that these people are Gypsies, they are water Gypsies, they HAVE to practice magic! They just have to. So then I began to take photos of other boats, proof that there was something magical in these boats. It wasn't until last night that I had that proof! Do you see the sun and moon on these boats?